Real Economy is a charitable community benefits society with a trading arm. We offer the community of Bristol an alternative way of buying their food. 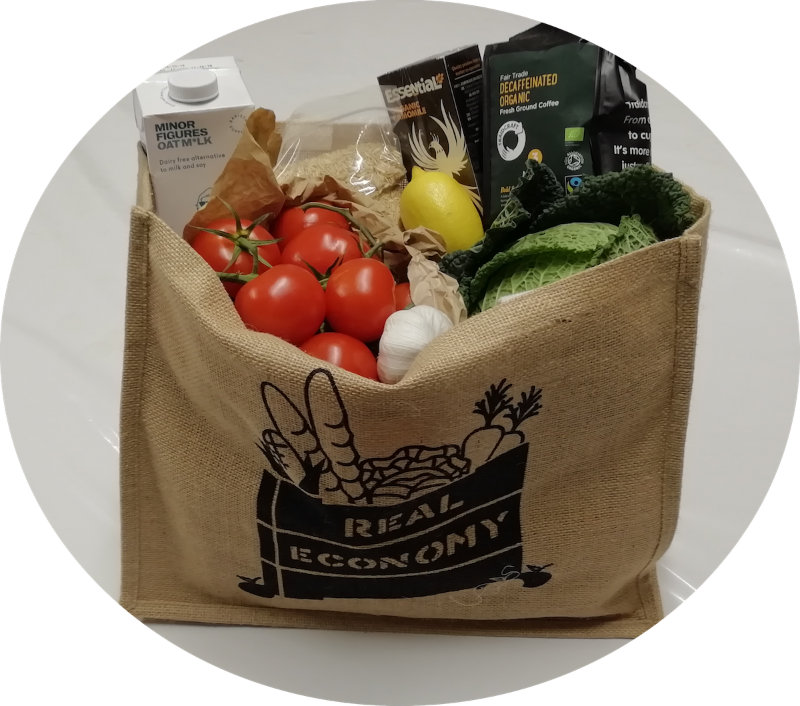 – Customers order online in the Real Economy shop, our trading arm, including the whole range of regular groceries from fresh fruit and veg (a large organic range is available) meat, dairy, bread, kitchen cupboard essentials and cleaning products. – All products are sourced from local farms, small independent local businesses and ethical suppliers who receive a fair margin that allows them to make a decent living. – Customers can avoid supermarkets and support a large range of small local businesses without having to travel all over the city. Real Economy prepares the individual orders and delivers to collection points around Bristol every Thursday. The important point is that people can use their weekly shop to have a wider impact: Supporting the community and tackling food hardship and isolation in the city. Any profits made by the trading arm are invested in the Real Economy Centres, which provide access to healthy food and social engagement for members of the community that face food insecurity. Participants share a weekly communal lunch and social activities, such as growing food, cooking or craft sessions. The buying period for weekly orders is from Thursday afternoon until Tuesday 4 am. Orders are delivered to collection points on Thursday afternoon,ready for collection in the afternoon / evening. We currently have 17 collection points across Bristol, as well as home delivery in many areas. Please see the website for details.